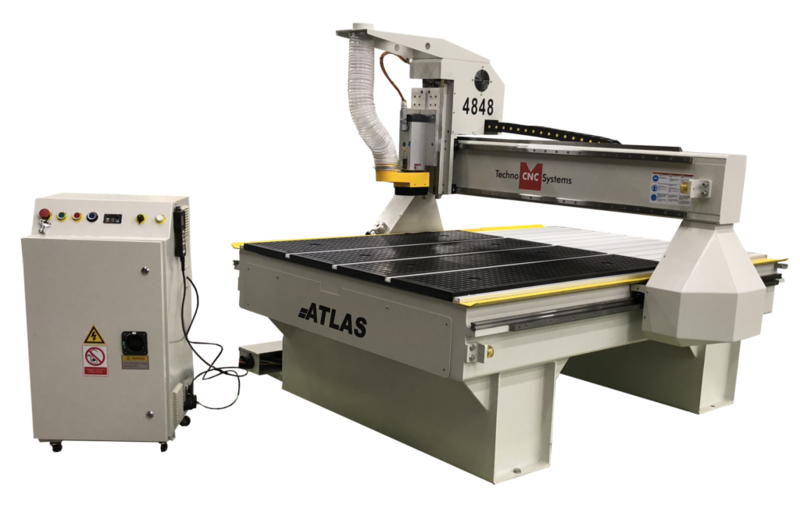 Techno’s New Atlas Series Digital Registration Cutting System is a heavy-duty, high-performance, affordable CNC System. 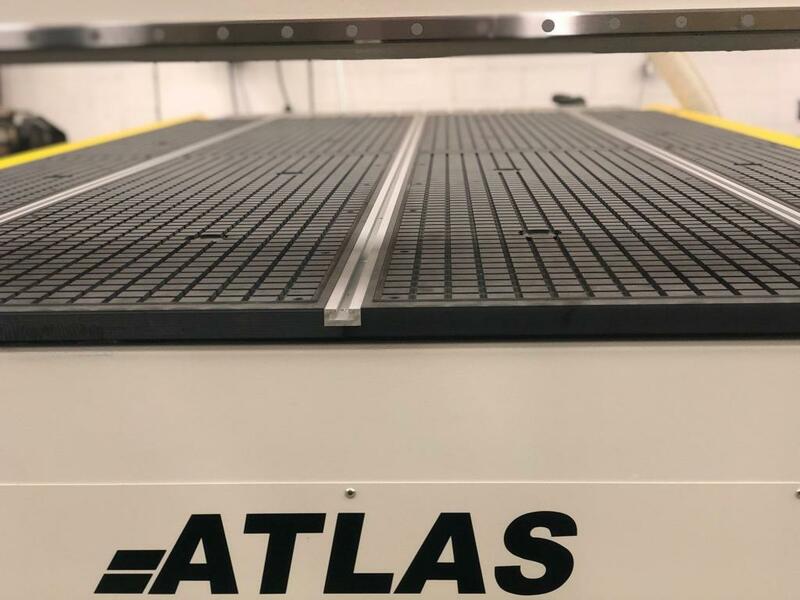 The Atlas machine comes standard with a 4HP HSD collet spindle, with multi-zone vacuum table, and 10HP rotary vane vacuum pump. 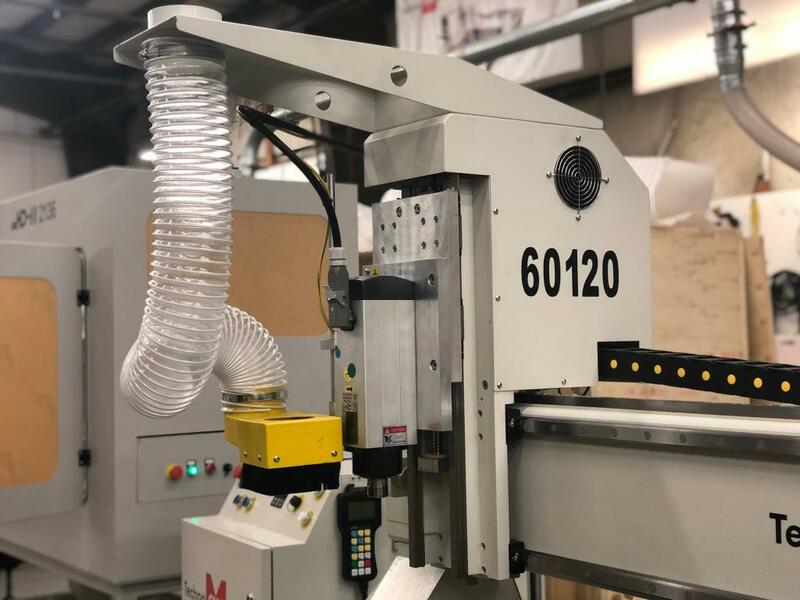 The Atlas machine can be equipped with a variety of different cutting head such as an electronic oscillating knife, creasing wheel, drag knife, and an Optiscout Digital Software Suite. 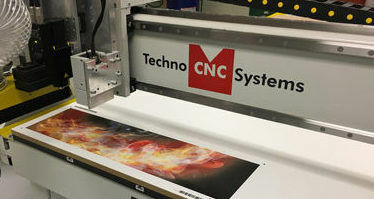 The machine registers, routes, and cuts with precision at high speeds providing Sign and Graphics Shops a complete CNC digital finishing solution. 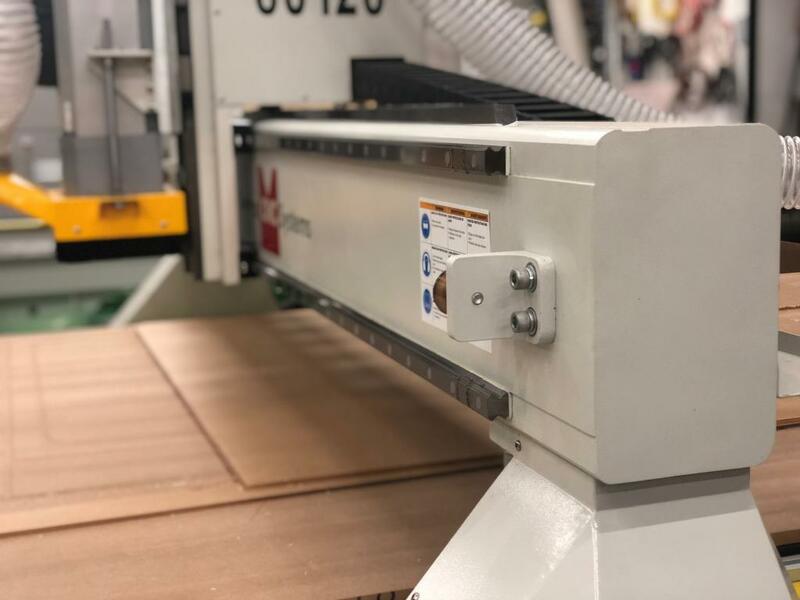 The Atlas Series Digital Cutting System registers, routes and cuts with precision at high speeds – print and cut workflow. 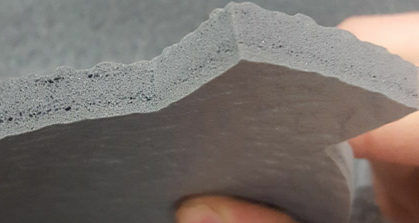 The operator loads the material, selects the image for routing, and the software automatically recognizes the media marks, compensating for skew, distortion, and image drift, and proceeds in cutting the pattern. 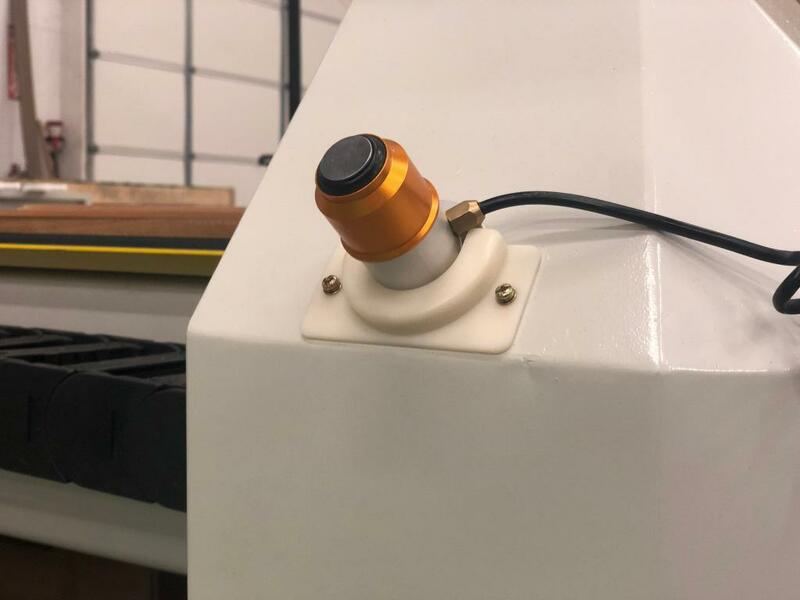 The Atlas machine comes standard with a 4HP HSD high frequency collet spindle. 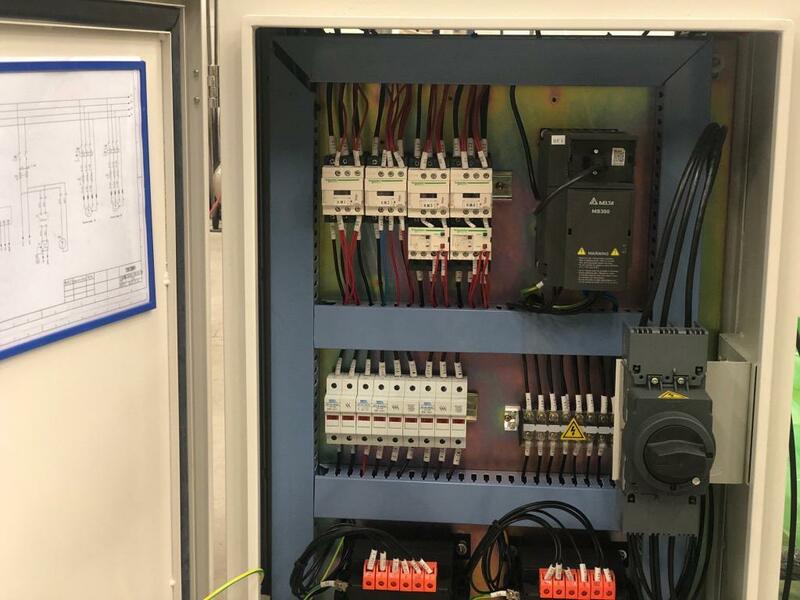 These precision spindles require no maintenance, use industry standard ER collets, fully programmable speeds from 6000 to 18000 RPM, and comes complete with vacuum hood / hose support system and wrenches. assemblies including motors, bearings, belts, and wiring harnesses. & Y axes. 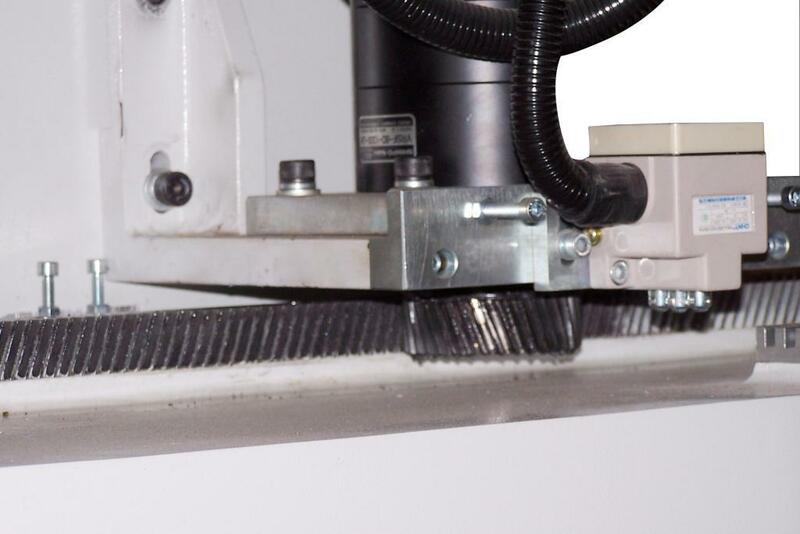 The mounting of the rack is inverted to help keep dust and debris from building up on the drive system and this assures smooth motion and long term reliability. The precision gearbox is directly coupled to the stepper motor & pinion. 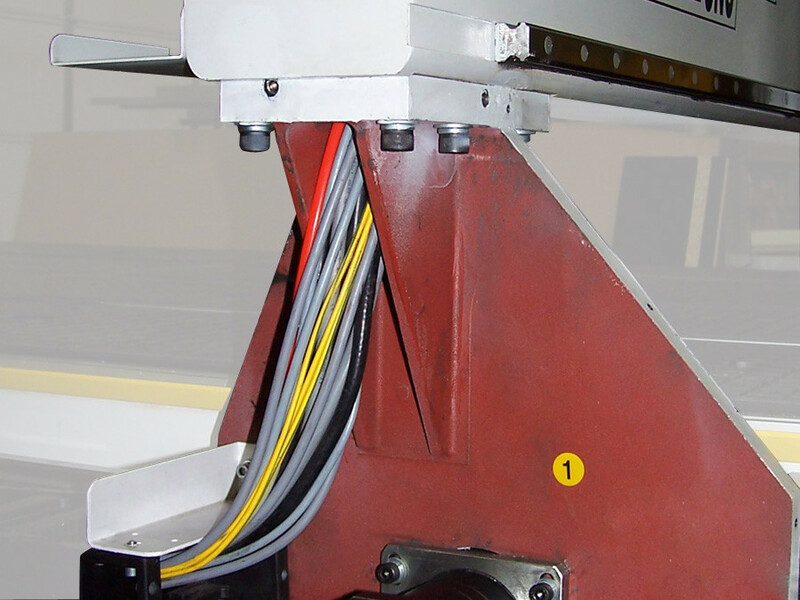 This eliminates belt stretch inaccuracies, assuring high-speed machining while the system positions the spindle accurately. service is required, the customer can easily navigate the cabinet. (Step 1) Create a design in the graphics software of your choice. Import the artwork.The operator generates a cut-contour around the artwork in his design application and registration marks and or barcode around the artwork. An extracted separate file with cut-contour, marks and barcode only is sent as e.g., an OXF or PDF file to the OptiScout software. (Step 2) When the generated print file is processed through the RIP software, it is sent to a printer. The cut-contour will not be printed. The registration marks and the barcode will be printed together with the artwork onto the substrate. The completed print is ready for cutting. In the OptiScout software, the operator takes the OXF file with the cut-contour and the regmarks and sets up the cut file for the output to the cutting table. The tools are assigned. (Step 3) At cutting time, the operator simply places the print on the cutting table. The OptiScout compares the position of the registration marks in the data to those on the printed job. 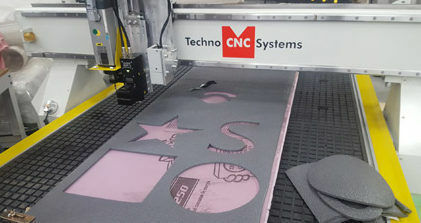 The CNC Digital Cutting System has analyzed the exact image position and it starts cutting. Advanced optical registration capabilities ensure perfect accuracy for any size or shape!